UI – Part 85 – Islamist’s Politics (2 of 2) – Wake Up! Wake Up! Islamism uses tactics to inflame and instill fear, grabbing the attention of the media and politicians. Media relishes in anything that will sell newspapers, gain viewers and increase internet ‘hits’. The politicians want to protect their personal agenda and react in ways not consistent with defending freedom of speech, freedom of expression or freedom. Politicians seldom understand all the facts and do not take the time to fully know the conditions precedent, or the intent of perpetrators, accepting their verbal claims as causal, not actual. Hate laws have been used by Islamists, established because of racial attacks and attacks on homosexuals, attacks on individuals, as applicable to differences expressed towards the ideology of Islam, whether in a humorous fashion, in books, or simply publicized statements of fact. They desire similar laws applied to cultural differences. 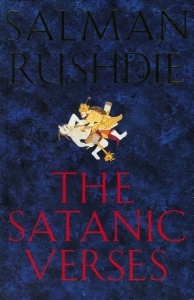 Malik’s book (From Fatwa to Jihad – The Rushdie Affair and its Aftermath, Melville House Publishing, Brooklyn, New York, 2010 – 1st published in the UK by Atlantic Books, 2009) brings to light the shift in thinking and provides background for understanding the operatives that are the Islamists. What follows are a portion of the Notes I made to myself as I read his book. Should group rights justify limits on freedom of speech? Is there a right way to express concerns over differences – or ‘no’ way? Can communities become so different they are tribal? How can criticism be stopped – or should it be? As to The Satanic Verses, or similar books whose content might offend, if not what a Muslim wants to read or should not read, what about non-Muslims or moderate Muslims? Protect ‘rights’ or lose them – use your rights or lose them. Islamists have become the demons of the Muslim world, causing all Muslims to be labeled falsely. Islamists use the concept of a macro-Umma to defend their positions, but as a voice for themselves, not for the majority of Muslims. What is blasphemy? How can it impact free speech? Blasphemy for a Christian is different from a Muslim; their reactions are different too – one more civil than the other. Must immigrants learn new customs? What are the rights of authors? How free are they to object to opposing faiths/religions/ideologies? Should there be any constraints? More rhetoric defending freedom than actions. Have Western politicians reacted to the fatwa by Khomeini (1989 – to kill Rushdie) and wrongly restricted freedom of speech? Islamists have attempted to use ‘racism’ as a label for being different, ideologically different, and make any exposition that is anti-Islam as racist – politically charged. Is a New Left evolving from political reactions to being different? The incendiary nature of the Islamists, the terrorist tactics, is for publicity, recognition, justification for insecure positions and recognition. Having an identity with a culture – is that the same as being white, black, Latino, or oriental? Islamist objective – protect their turf; their personal turf. For today’s jihadist it is a ‘me’ thing. Politicians cannot reach out to Muslims; they reach out to the wrong ones – the political ones representing the minority. Are the Islamists better organized? Terrorist acts and political movements to foster outrage, protests, etc. are to help force respect for Islamists, not Islam, and a catalyst for a stronger Islamist identity. Should laws be modified to meet religious sensitivities? Muslim’s always demanding apologies – for publicity and recognition. It is a pattern, a successful technique. How should we challenge Islamist sensitivities? Liberals seem to have given-in. Islamists are engendering self-censorship – more common than artists admit to doing. Before the 17th Century images of Muhammad were okay. Is there an aversion to offending? Should there be? What if there are honest differences? Is legitimate criticism being stifled by hate laws? How do we show respect, yet be critical of other peoples, cultures and viewpoints? This would seem a requirement, a natural occurrence, in a diverse society. Liberals see free speech as a threat. Diversity, pluralism, requires restraint to preserve diversity. One person’s perception and commentary may be another’s blasphemy. Debate over Danish cartoons – not about Muhammad, but about who should represent the Muslim (macro-Umma) community. Organizers (Islamists) bring others to support claims they make, but this does not represent the majority. Are the politicians patronizing ‘moral superiority’ exhibited by the fundamentalist Islamist? Doubts are not allowed by Islamic doctrine. Never challenge Allah or Muhammad. Why not? How do you compare racism and Islam? Attitude: Eliminate those who hinder the rule by Allah. Manslaughter by pen – can an author be guilty of manslaughter? The job of Islamists is to kill non-believers. Restrictions on freedom of speech is double-sided. The fear tactic of Islamists work – it is the politicians that must find a way to deal with the Islamist, not with the innocents. Why should the innocents fear? Are we dealing with a theocratic assault on democracy? Islamists want rules just for Muslims, to which all must comply. Must every society be a collection of separate communities? What happened to the ‘melting pot’ of America? Islamists seem to want but one ID. Does America lack moral clarity that enables resistance towards Islam? Are the liberal values of democratic societies causing hesitancy in dealing with Islamists and Islam? Are we vulnerable, lacking strength to deal with this holy war? The threat against the West may be exaggerated, but the moral response and political capital to respond is lacking. We are faced with many challenges, none the least of which is Understanding Islam. As I have studied, read, and written about Islam I must admit I have not become a proponent. I see too much of the hand of man and not the hand of God in formulating the rules (Sharia) of this ideology labeled for a purpose as ‘religion.’ The Ten Commandments are not a primary focus, especially ‘Thou shalt not kill.” The Notes provide fodder for much more dialog on Understanding Islam. Use this Blog and the Notes to give thought to the impact the trends in many countries towards expanding hate laws to encompass expressions of doubt or concern towards other faiths, religions and ideologies means to Freedom of Speech and Freedom of Expression. Consider what has already happened in dampening author’s willingness to write as they believe, to couch their true thinking in terms laden with political correctness to the point of muddying what they are really wanting to say. And know too that the bulk of such actions have come because of Islamists actions, their jihadist and terrorist cries and tactics, that are useful in the control of the mindset of mankind to avoid criticism of Islam, the Quran, its writing, the enmity (hatred) expressed in the Quran, the call to kill infidels, the source of the writing, the persons behind what was written, Muhammad, Allah and even A’isha. Pray always. Ask God to be your guide. Know his saving grace. Follow his lead. Let the Holy Spirit fill your heart. Do not harden your heart to the truth. Seek wisdom. Have doubts and explore. Find the answers. Know Truth. The Lord willing, do not allow the tyrants of Islam dictate what you say or how you say it. Appeal to your politicians to Understand Islam, the events that occur and the methods used to capture their support, unwittingly all too often in ways that destroy freedom while Islamists gain. Do not allow that to happen, whether Christian, Jew, moderate Muslim or atheist. Resist the legislation that helps to fuel the desires of Islamists and give them credibility and encouragement to continue to do what they do. May their success not empower them further.